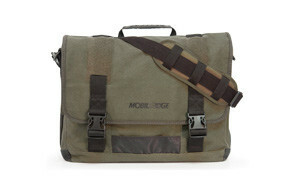 Messenger bags are the quintessential all-day carry item for men. Whether you’re transporting your laptop, tablet, documents or smaller items, you always need to be prepared. 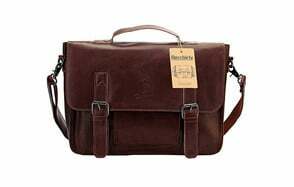 While briefcases are still hanging around, messenger bags are the next step for the always-ready, everyday businessman that needs to make a quick switch from work to play. They’re your mobile workstation, your ever-present connection to your professional life. Here are the best all-around picks for the best messenger bags. Are you going messenger or briefcase? Either way, let us know what you picked and why on Twitter. For the ever-ready, always-prepared businessman, these messenger bags make the perfect companion. Your laptop’s size fits your lifestyle; ready to stream, work, and bring you the very best media at a moment’s notice. Your messenger bag should accommodate accordingly—Mobile Edge ECO Laptop Messenger Bag is completely made of eco-friendly all-natural cotton canvas, so you’re able to spend (a very little amount for messenger bags) and wear your new bag proudly. Fitted with a handle or shoulder strap, depending on your preference, you’ll be ready to rock and roll wherever you are. Find more great products like this by checking out our guide to the best gym bags. Just as the title says, Sweetbriar Classic Messenger Bag’s got that classic appeal that anyone can look good with. You’ll enjoy the minimalist approach with the all-black exterior, laid out in canvas, boasting a military design. This messenger bag is perfect for those looking to quickly pack an overnight bag when hopping on a train to NYC, or keeping in the car for the unexpected. Handle it however you want, but you’ll fall in love with the simplicity and the price. Wowbox Satchel Bag is one premier unisex design that completes any look. Crafted primarily of leather, secondarily consisting of top-notch, durable canvas, Wowbox brings us one of the most fantastic designs yet. Apart from being handheld or hanging off your shoulder, you get a complete compartment for your laptop that’s 100% shock resistant. No chance of your data being wiped, or your laptop being damaged electronically. Whether you want to store some personal grooming products, such as spray-on deodorant for times of crisis. Blending an 80/20 canvas/leather mix, Berchirly brings us an old-school United States military design on their messenger bags, bringing in the retro style that everyone’s seeking this year. When you go for a military look, you have to fit the bill and sneak in the same toughness that military bags promise. Beat this bag up, slam it in the car door, it’s not going to fail you. Large compartments are perfect for your laptop, smartphone, and even some overnight clothes if that’s the route you’re going. Military toughness for every rough edge of your life. Make sure you also check our selection of the best sling bags for men. The messenger bag for the posh gentleman, the savvy designer, the budding writer, and every niche in between. This looks best against a midnight blue or black suit, bringing that crossbody strap either way (lefty or righty; this design accommodates to both). Made of ultra-durable PVC, you get the promise of toughness seamlessly integrated with the stunning design that can bring any gentleman’s appearance up a notch or two. With its minimalist function and classic design, the Ted Baker Chase messenger bag is what you make it. Be sure to also check out our list of the best backpacks for work for more great items like this. We all know Hilfiger, and each own a piece or two by them, but no look is complete without their premier messenger bag. With a magnetic closing strip, you’ll avoid pickpocketing thugs on the street no matter how dense the crowd is. This bag’s singular compartment is absolutely perfect for a medium-sized laptop, legal pad, and anything else you need to complete your mobile workstation. Bags with a ridiculous amount of pockets and straps end up getting in the way when you try to get a quick bit of work done on the train; not anymore. You brought Hilfiger to the party. Don’t forget to also check our guide to top laptop bags for more great options. We can all agree on basic black. Glossy-finished solid leather goes best with the tint of your sunglasses, and black accommodates any style on any suit, no matter what. Lined with a canvas interior, you’ll have a soft, comfortable spot for your electronics: your Kindle, your laptop, and everything else can fit easily without banging around. The design of Shinola Detroit Messenger Bag works for the ambidextrous type, so the crossbody strap is versatile despite your dominant hand. Jet black, inspired by vintage camera bags, at-the-ready to contour to your personal style. Our handy guide to the best Kavu bags features more great products like this. You’ve been looking for the perfect messenger bag that you can take on the train, or walk down the bustling streets with: now it’s here- the Timbuk2 Commuter Bag. Whether you want to remove the adjustable strap and carry this bag by the handle, or toss it over your shoulder, you’ll complete any look. The TPU liner keeps the elements out of your messenger bag, keeping your ten interior pockets safe from becoming unorganized by a brief gust of wind. Your laptop will be safe from the pitter patter of rain with the 100% polyethylene build, making this bag safe for the commuter under every circumstance. For weekend getaways, you may also consider one of the duffel bags from our list. If you’re a lover of all things classic in both age and appeal, you’ve been looking for the Foreman Messenger for half your life. With multiple slip pockets, buckles, and a leather/nylon build, you get the perfect rugged look to go along with your corporate-casualwear, and everything else in between. If you’re lugging around dossiers and your laptop from worksite to worksite, you won’t have to worry—the padded shoulder strap allows for any weight, so you can get the job done without having to pop an aspirin for your shoulder. If you love leather, the check out our selection of the best leather backpacks in 2018. Look, just because “Gear” is in the title doesn’t mean we made it (we wish that were the case). Crafted of PU leather and high-density canvas, this tote is the perfect addition to any gentleman’s arsenal. With ample space to package your laptop and other devices, alongside additional material you may need, you’ll be able to bring your mobile workstation with you no matter where you go. You’re not a man who enjoys restrictions; go boldly with the GEARONIC Men’s Leather Tote and set the stage. Love this product? Check out our review of the best American made backpacks for our top picks. The briefcase that allows laptop storage is a rare sight to see. If you’re like most of us in this digital age, you’re always moving, and your briefcase or messenger bag is supposed to move with you; not against you. Berchirly Men’s Briefcase is perfect for 14-inch laptops, crafted of PU leather and faux leather, and brimming with vintage flair that you can’t get for this low price point—we both know you’re found your next messenger bag/briefcase combo, you just have to admit it to yourself. Style and versatility are two sides of the same coin, specifically when it comes to men. We don’t have time to sacrifice mobility for the sake of style; it’s just not practical. With the Fossil Defender City messenger bag, you get to control your mobility. With the adjustable crossbody strap, you’ll be able to switch from one should to the next, adjust for cycling or commuting—the choice is yours (you can even detach the strap if you don’t like it). Crafted of leather and textile, you get a no-BS approach with function that speaks to you: one large compartment for everything you need, like your laptop, diary planners, and everything in between. You get a few style choices when it comes to a messenger bag: vertical, horizontal, or if you go with Osprey, you get the unique square design. Built to perfectly contour to your needs (you’d be surprised what a good bit of design can do for proportion and weight distribution) you’ll move along without your messenger bag holding you back. Select from four different colors; includes an interior zip pocket for valuables, as well as two internal slots: separate your tablet from your laptop, and prevent screen scratches during transit. For more sporty versions, check out our roll top backpacks review. Your body type alters your style choices more than you would like to admit. That’s why vertical messenger bags are an option; easier access for the taller man. With your belongings in deeper pockets, in a more narrow design, the last thing you’ll have to worry about is someone pickpocketing you on the street. Victorinox Victoria Affinity Crossbody Vertical Messenger Bag is crafted primarily of polyester with key leather touch points. Your shoulder strap is adjustable, contouring to every height, and the messenger bag includes an interior zip pocket for valuables. For more Victorinox products, check out our Victorinox luggage sets review. If there’s one brand that knows men’s style, it’s Fossil. They take a no-nonsense approach to function, all without skipping on the design aspects that you love. With a flat bottom to keep your laptop in an upright position, exterior zip pockets for additional storage and segregation of electronics, you’ll have every function needed to pack up in a flash and run out the door. With three exterior slip pockets, you can store last-minute items on the go in a breeze. Have easy access to your wallet and smartphone without thinking twice. Our guide to top travel backpacks offers more great items like this. As one of the least expensive options on our list, Sweetbriar brings a versatile design that’s going to blend with any style for the everyday man. Throw this retro-style military pack over your shoulder, complete with padded shoulder strap, and run off to where you need to be. With an all-canvas design, you have the durability you need to get the job done right. Not only does Sweetbriar include a one-year limited warranty, but you also get all the extra slip pockets and compartments that allow you to stay organized in the ever-changing chaotic landscape we live in. For more military style packs check out our tactical backpacks review. If you want a piece you can talk about, you’ve just found it: crafted by leather artisans with decades of experience under their belt, premium buffalo leather mixed with canvas makes up your next messenger bag. Not only does KomalC Retro Buffalo Hunter Messenger Bag accommodate your large laptop and other devices, like your tablet and smartphone, but you also get the security of zippers and buckle latches to ensure nobody with sleight of hand takes you for a fool in the midmorning transit. This boasts the rustic look we’re all going for, masculinity with a story behind it. Now that we mentioned Hunter, check out our hunting backpacks for more great packs options. Some of us are dads, and dads have to rock some things that we just don’t want to. It’s why brands like Diaper Dude bring us some of the most dad-inspired pieces on the market. Nobody wants to carry around diapers. Worse than that, nobody wants to get caught in one of those men’s rooms without a changing table; we’ve all been there. You get ample storage for all your baby’s things, a portable changing table, and a full nylon build. You know what that means, right? Easy cleaning. Formula or… whatever else your daily dad adventures end up spilling on your bag. It’s built with fatherhood in mind. You may also like to check our review of the best North Face backpacks. Half the reason any of us need a messenger bag is because we’re all carrying our portable workstations with us nowadays. Laptops, tablets, the lot of our devices. Carrying everything in the London Kobe gives you the smart, sophisticated look that you’ve been searching for, all while accommodating every one of life’s little daily encounters. Crafted of full leather with an adjustable strap, complete with slip pockets along the exterior, the only question left is “When will it get to my door?” Make sure you also check our guide to survival backpacks for more great bag ideas. Adidas has never been the brand to be overlooked. They came out swinging with a trapezoid-shaped messenger bag, fit for every single occasion, sports-related or otherwise. Not only do you get a larger opening at the top for easy access, but this messenger bag is perfect for holding your electronics while cushioning them in 100% polyester. Security with buckle clasps and a strap that’s designed to fit comfortably on your shoulder, all with one of the biggest brands printed on the front; what more could you ask for? For more sporty bags check out our Patagonia backpacks review. Leather is always the way to go, for anything in life—don’t let anyone else tell you otherwise. It comes with the price tag attached, but you knew that; men have a difficult time with messenger bags. They aren’t choosy enough (like we are) and are unhappy with the messenger bag they get stuck with. You want a sophisticated look that’s going to securely hold your electronics, and your documents. Adjust your leather shoulder strap for optimal comfort, and keep your back zip compartments shut with your wallet and/or smartphone when you’re on the go. Anyone can look good in a Scully, but you’ll rock the look like it’s never been done before. You’re packing more than a legal pad and a few pens; you have the laptop, tablet, smartphone, and everything else in between. You don’t need any messenger bag; you need a field bag, something that’s going to come with the storage space you need while maintaining the posh gentleman look you’ve been working on. The Filson bag comes with a water-resistant flap along the top to keep your electronics safe and secure while meeting carry-on requirements for the airport. Bridle leather straps, 100% cotton oil finish—come on, you know you’re going to define this look. You’ve got the minimalist design; extra pockets and zippers galore aren’t going to suit you. You’re carrying your laptop, your phone, and maybe a few other things. Minimalist look, minimalist lifestyle—your messenger bag needs to reflect that. In basic black, the Chrome Conway gives you all the space you need without all the fixings that you don’t. Store your 17-inch laptop in a cradle of care while maintaining your refined look. We know it’s daunting, and at the same time tantalizing—men are hopping on the bandwagon every single day, and after looking through this little guide we whipped together, you’ll see all the benefits. The cons? There are none; really. Let someone try to pickpocket you with an item that’s consciously on your shoulder at all times during transit. Don’t fumble with a boatload of items anymore. Instead, glance over every reason why you’ve been missing a messenger bag in your life, and how to maintain them. Q: Why Use a Messenger Bag? A: Are you a businessman who travels to and from the office with your own equipment? A freelancer who needs to meet clients and go over the idea, take notes, and showcase PowerPoint presentations? 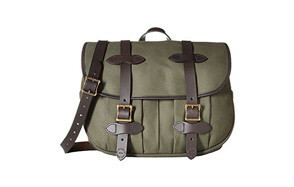 Messenger bags are essential for those carrying their laptop, or a gentleman going on a day trip. Keep grooming kits, your Kindle Paperwhite, and any EDC items in your messenger bag; it’s convenient—you’ll be hooked. Q: Why Are Messenger Bags So Popular? A: We’re in the digital age—half the population owns tablets, smartphones, and everyone’s got a laptop. Apart from that, we’re bringing our own food choices so we don’t get stuck with fast food options, as part of a health-conscious growing society. We like to have important things with us, so we need a functional (and fashionable) way to do so. Messenger bags are also taking president over backpacks, and for good reason—you’re not going to stuff a million things into your messenger bag and throw out your back. It keeps you in check. We used to see them on couriers all the time, and most memorably, in Newsies, but they’re growing popularity for a variety of reasons. As men, we’ve always had the need to carry around important items, but either overstuffed our pockets and looked like shoplifters or had our women carry a few things in their purse. (Don’t lie, you’ve done it.) As part of a more accepting society that’s quickly breeding in every nation across the planet, it’s just plain okay to have a messenger bag without fear of public rejection. Businessmen don’t really carry briefcases anymore, either. 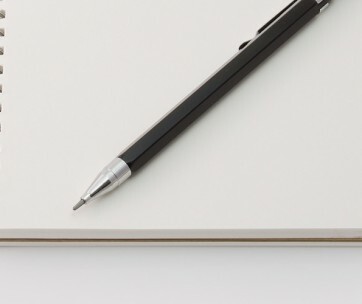 We’re in a digital age, where written documents aren’t in demand nearly as often. 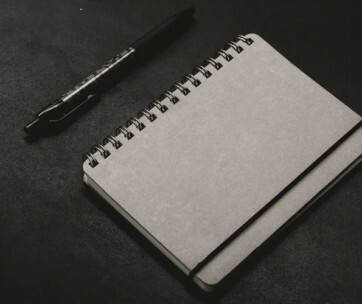 Electronic signatures, electronic documents, etc.—we don’t really need briefcases anymore, because we’re more likely to be carrying around our laptops than anything else. There are three common fabrics that you’ll see with messenger bags, and they’re somewhat adjacent to how much they cost. There are some fabrics that some people just can’t stand, so allow this to be a big portion of your deciding factor when selecting the right messenger bag for you. Leather - There’s nothing like leather—the more, the better. While it’s often paired with some nylon for the better part of the bag, there are full leather messenger bags as well. You get the most resistance with leather, and if you have children, you know how much of a mess they can make, especially when it’s something that you personally own. The leather is the top choice for any occasion. Canvas - Canvas has that unique feel to it and is most often the cheapest choice for a messenger bag. It has a distinct feel, but often holds the rugged look that a lot of us men are going for when carrying around a messenger bag. Nylon - The choice of a lot of different articles that we wear, and when it comes to a messenger bag, it’s a slam dunk. Nylon is halfway between leather and canvas on cost and is one of the easier to clean. Caring for your premium messenger bag is important; whether you go minimum budget or top dollar, you want to preserve the appeal and maintain its function. You’ll quickly notice that when you don’t care for your bag, it falls into disrepair: the zipper track jams up, threads poke out from every which way, and worst of all, your leather cracks and fades. 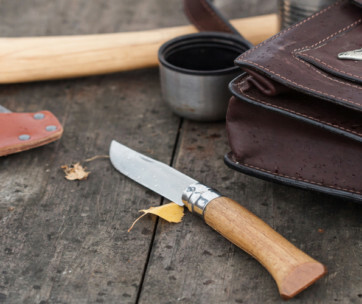 Here’s what you need to do to preserve your messenger bag. Leather - One of the simplest ways to protect your leather is by applying a non-toxic, premium sealant to preserve it for years to come. If your budget has been maxed-out at the bag itself, there are a few more timely maintenance procedures you can implement to help you take care of it: wiping with a damp (not wet) cloth, Lexol, and wiping it with a lens cloth. Canvas - The most inexpensive option for any messenger bag is going to be canvas. It mostly consists of cotton and a few other fabrics. Those materials are most likely to absorb liquid or retain odors if something splashes on it. Wash it with a damp cloth. Nylon - You’ve found the perfect medium; semi-resistant to the elements, and the elements of your home, but also not as durable as leather. With nylon, you’ll want a gentle plastic bristle brush or gentle cloth. Leave it in an aired-out space for a few hours post cleaning to be safe.